Prominent & Leading Manufacturer from New Delhi, we offer pallet racks, heavy duty pallet racking system, upright pallet racks, warehouse pallet racks, high rise storage racks and long span racking system. Our Heavy Duty Pallet Racking System are widely appreciated due to its high quality and durability.These are the complete solution for the industrial storage systems.These are easy to install and are available in various patterns. 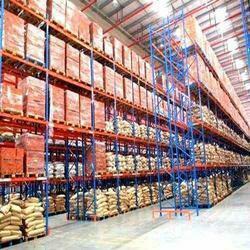 Our provided products are ordered in bulk assortments by various departmental stores and shops. These products are provided at the customers' stipulated place within the set time frame. 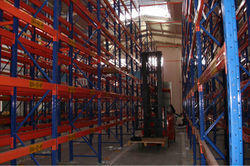 Our Heavy Duty Pallet Racks are highy demanded and used in various applications of industrial storage systems. These are tailored according to the needs of the customers.Our motto is timely delivery and clients satisfaction. In addition to this, client can get the provided products from us at very economical prices. 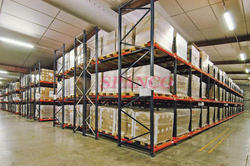 We at Spanco manufacturers Upright Pallet Racks which are of best quality and produced by the expertise. Our Pallet Racks are widely known for their quality and timely delivery.We use the finest raw materials in the industry.We are the amongst best pallet racks manufacturer . Spanco,pioneer in industrial storage systems an ISO Certified Company manufacturers High Rise Storage Racks which are available in various patterns according to the customers demand. 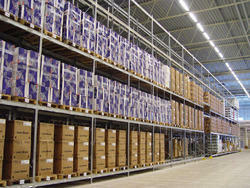 Our Long Span Racking System is designed to meet your requirement for a modern ,Economic and Rational Warehouse.Our system will ensure the optimum solution to your storage problems of Bulky & Lengthy Stores,drums Timbers etc.It is the most popular & widely used to all heavy duty storage system. 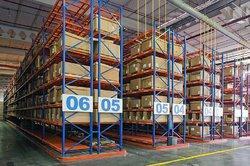 The Selective Pallet Rack System is manufactured using steel and it is of the heavy duty type. They are available in different heights like 50, 50.8, 75mm by pitch and the raw steel used is of the SS400 and Q235 type. 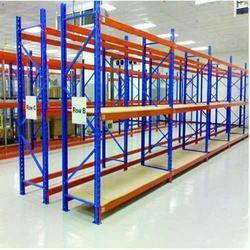 They are mostly used in storage units, and warehouses etc at factories, shipping yards or industrial sites. They are made using high quality raw materials, thereby making them long lasting, easy to maintain and economical in space. They are made in accordance with customer specifications. Our organization specializes in providing a wide range of Heavy Duty Two Tier Racking to our clients at industry leading prices. These racks find wide usage in the warehouses of textile, pharmaceuticals, chemicals, logistics, cement, food, automobile and other industries. These are fabricated using superior quality metal that ensures long service life. 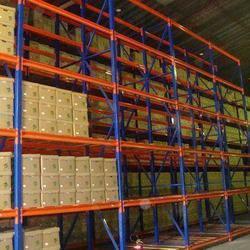 Looking for Pallet Racks ?